Cats are obligate (strict) carnivores, that is they are meat eaters with low carbohydrate needs. 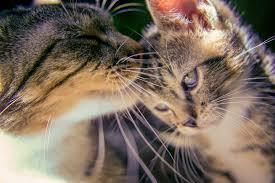 Cats can also be very fussy eaters – what pleases one will make the other turn up his/her nose. The cat’s stomach and intestines are smaller than dogs and most other animals which is why they need high protein diets. When choosing a cat food, it’s important to read the list of ingredients. With all the different brands on the market, how can we choose the best one? The first ingredient listed on the label should be a high quality protein, human grade if possible. The protein should be named (beef, chicken, salmon, etc.). If the label says meat, it could mean anything, including parts of bodies that have been discarded. If grains (wheat, corn, soy) are listed, be careful as these can be allergens and are foods that are not necessary for your cat’s well-being. They are there as fillers. Cats don’t digest plant material effectively and there is little benefit to adding grains to their diet. 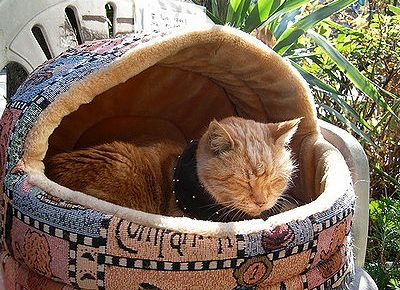 Most cats are not interested in things that taste sweet, but prefer salty or tart foods. Cats also need their food cut in small pieces that they can easily swallow. Essentials that must be included in your cat’s diet are the amino acids Taurine and Arginine, neither of which is synthesized by cats. Arginine helps in disposing toxic waste in the body. Taurine deficiency can cause damage to the eyes and heart. Taurine is found almost exclusively in meat. 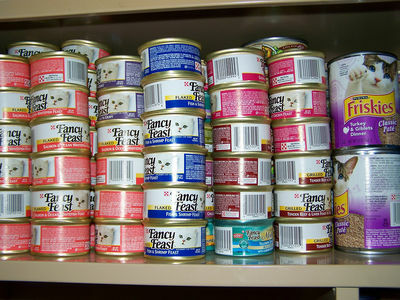 When purchasing dry or canned cat food, choose the best quality your finances allow. In this case, price does matter. Since there have been so many pet food recalls, many people prefer to home cook for their pets. You must do your research to find what necessary ingredients should be included in a cat’s balanced diet for optimum health. You may want to consult with an animal nutritionist who can explain how to prepare a cat’s homemade diet. If your cat needs a special diet, always consult your veterinarian.